We had been coming to Vermont every single week for almost 8 years; at first to escape the NYC energy and hectic restaurant world we both worked in for the last twenty years. But then, somewhere along the way, we became obsessed with the art and science of making cheese, having serendipitously found an excellent source of organic cow’s milk at Sumner Farm in Halifax, right around the corner from our cabin. Crazy experiments began to yield to a few successes, thanks in part to the wonderful, amazing, fat-full milk. We then humbly started to present our results to our family of restaurants and their chefs, with enthusiastic encouragement forthcoming. After much deliberation and one Hurricane Irene, we were finally able to go ahead with our dream and convert an old restaurant into our micro-creamery, in the heart of Jacksonville, Vermont. 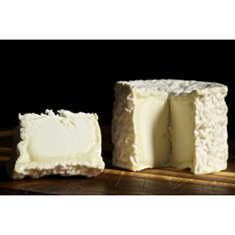 Our passion drives us towards creating artisanal french-style semi-soft cheeses that aren’t readily available in this country, if at all; unpasteurized (60 days aging minimum), organic, jersey cow’s milk cheese (as well as a few distinct goat’s milk varieties), all aged with loving care in our temperature- and humidity- controlled “caves”. At the exact moment of ripeness and perfect flavor we deliver it ourselves to some of the top restaurants in New York City (The Modern, Craft LA, Café Luxembourg, Odeon and Casellula).We are also featured at a few of our local area restaurants as well as The Brattleboro Coop and summer Farmer’s Market. We are grateful to our milk suppliers for their loving care, enthusiasm and incredible hard work. We look forward to a long relationship with them and the people of Jacksonville, who have been very supportive of our endeavor. Our creamiest, whipped rendition of our full-fat fromage blanc, with the decadent addition of dried truffles. Addiction alert! For all lovers of Alpine style cheese, Spoonwood Cabin presents this traditional semi-firm tomme, aged a minimum of 3 months. 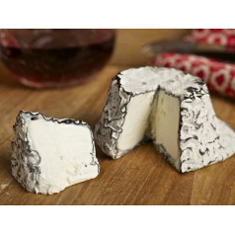 The rind offers aromas of smoke, bacon and leather, all giving way to a dense, buttery and nutty interior. She’s very pretty, even with a few wrinkles. And no pesky dwarfs to cramp her style. 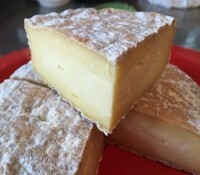 Underneath the gooey creamline there’s a silky pate with buttery, earthy notes. A young goat’s milk cheese with a thin layer of ash underneath its lightly blooming exterior. Spice, honey, grass and citrus with a lingering fresh acidity. Shapes will vary with the mood! Slice the top off a cone and what do you get? 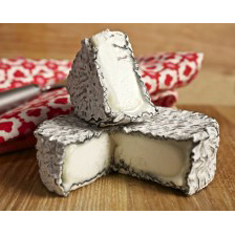 – this delicate goat’s milk cheese with a lightly blooming ash rind. The pate is dense and super creamy with a mild, lemony tang. During affinage of approximately 3 weeks, the rind will begin to acquire characteristic blue markings.